The San Pedro Sun visited the site on Wednesday, March 20th and did not observe any labor force present. There were two excavators and signs of excavation which apparently begun days before. 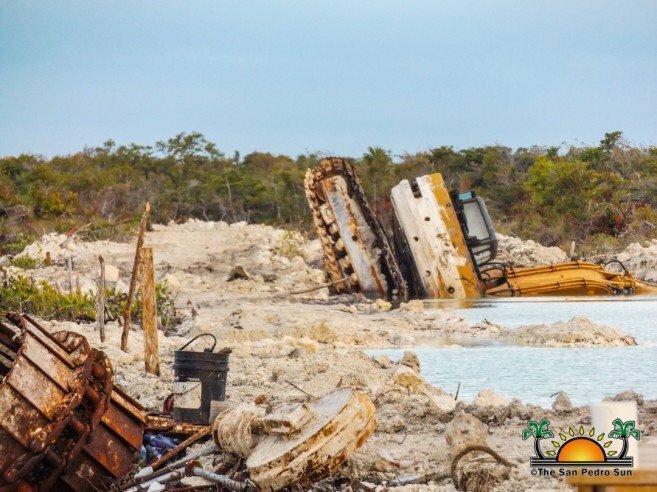 A third excavator was observed in the background, seemingly collapsed in the under-construction channel and half-buried in the mud. 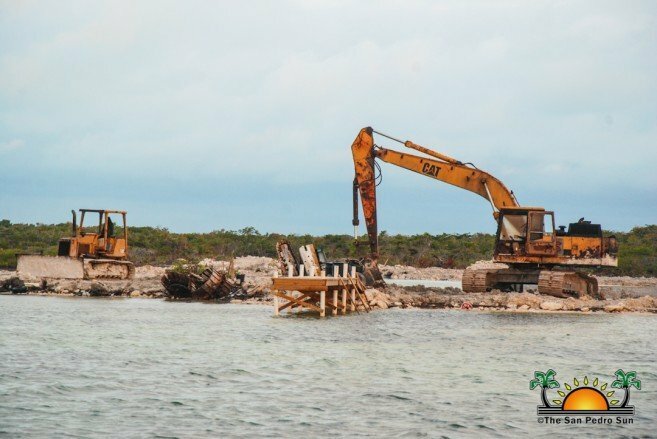 Personnel at DOE stated that they are familiar with the suspected developers, Dhillon and Mitchell, and stressed that they do not have permits to be dredging in the said area. However, they did not say what would be the repercussions. They pledged to launch a thorough investigation to find out what laws were violated and what measures the Department will exercise. 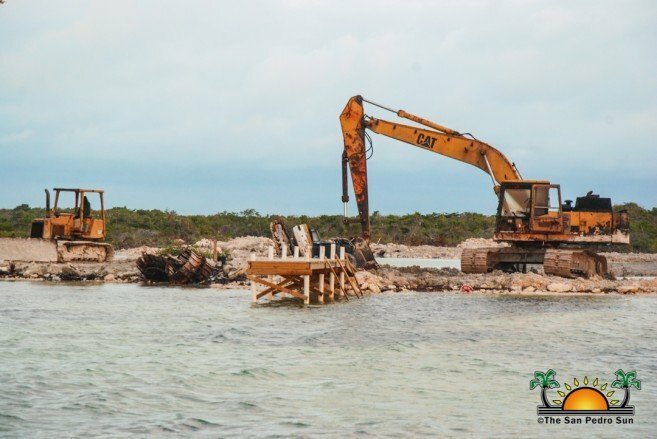 The DOE stated that the only project they are aware of being spearhead by Dhillon is the development called the ‘Platinum Coast Project’ in northern Ambergris Caye. It is 3,000 acres nestled between the bay of Chetumal and the San Pedro lagoon. According to the description of the project, its first phase, known as ‘Costa del Sol,’ has already sold out its parcels. It’s second phase is under development and will count with a gated community of luxury lots and amenities. The third phase of the development will be a five-star resort. Other services that potential buyers will enjoy is access to a pool of talented designers, architects, builders among others. 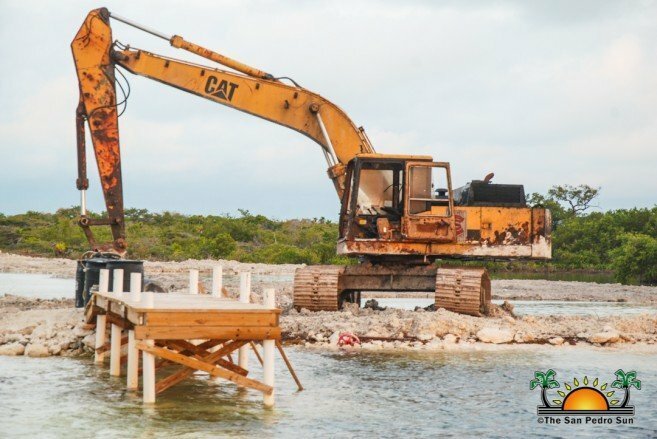 Potential property owners will also be able to incorporate their vision of luxury into the development’s master plan while following a building code that is expected to create a unique residential area on Ambergris Caye. Dhillon and Mitchell are known to have made large financial donations to San Pedro Town in the past. One of those occasions was in July of 2008 when, on behalf of Costa del Sol Development they made a generous donation to the town in the form of a $350,000 cheque, with a balance of $150,000 to be delivered in a month. On hand to receive the donation were Prime Minister Right Honourable Dean Barrow, Minister of Tourism and Civil Aviation Honourable Heredia Jr., and the then Mayor of San Pedro Her Lordship Elsa Paz. The funds were designated for improving the infrastructure of San Pedro Town. 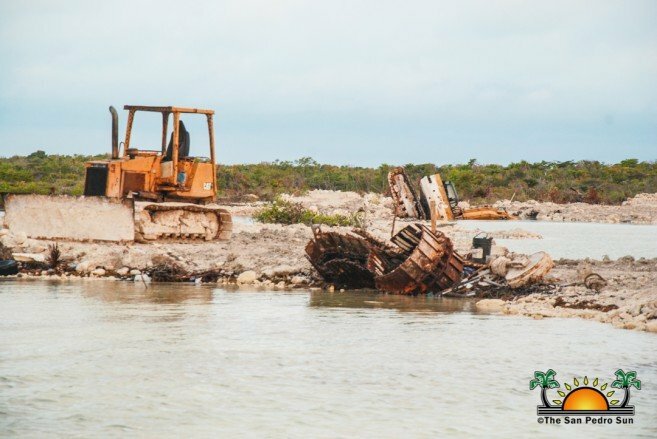 In the meantime, while DOE prepares to visit the island to do the inspection, they encourage everyone to continue to report any suspected illegal environmental activities by contacting DOE at 822-2819 or 828-4877. The San Pedro Sun will continue following this developing environmental story.